As the hustle and bustle of the holidays fast approach, you may find yourself looking for quick, last minute gift ideas. These fused glass ornaments make a great gift for teachers, friends and family. 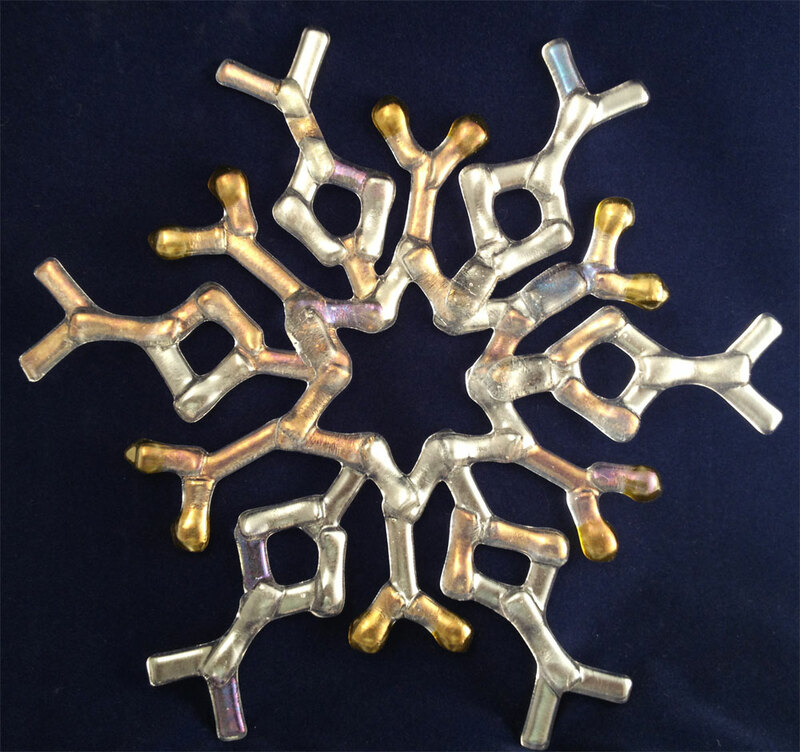 What better way to welcome winter than with some sparkling glass snowflakes? 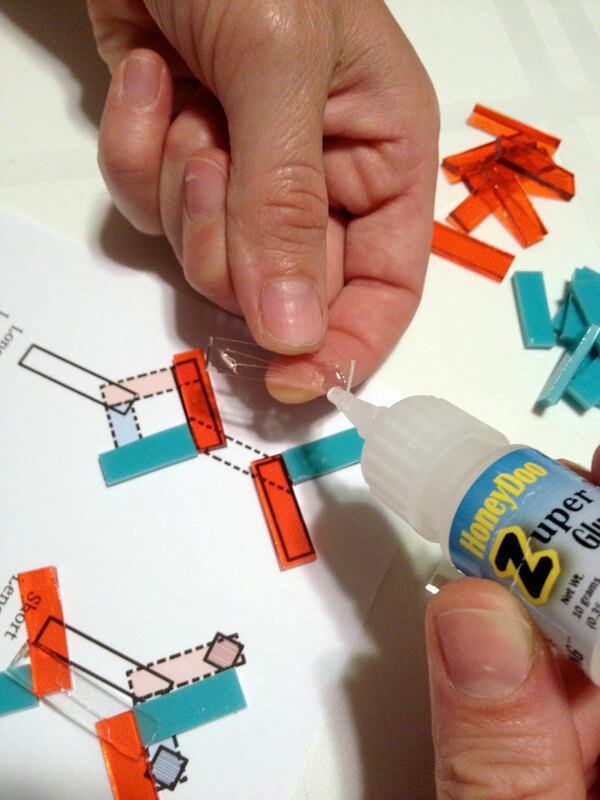 Using super glue, we’ll create complicated looking designs with strips of cut glass. 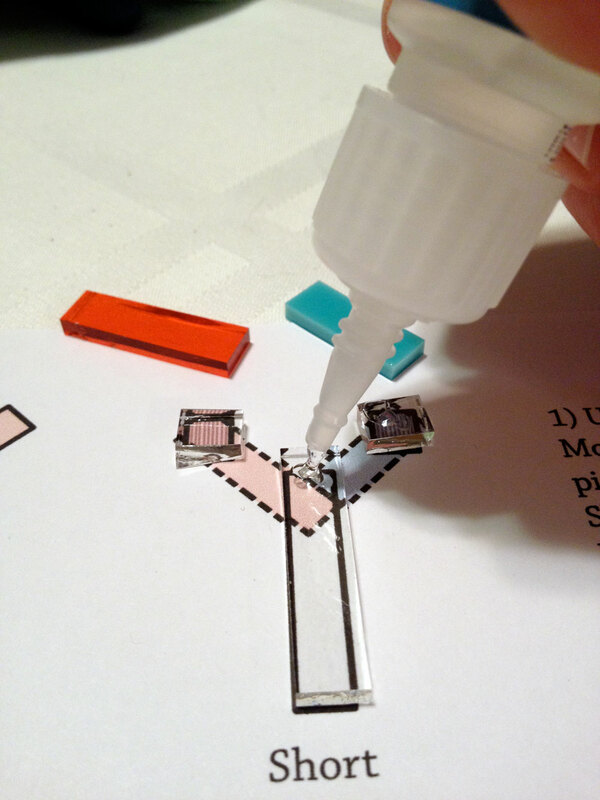 You only need to use a little glue; it holds almost instantly. Find a comfortable, well-ventilated space to work, then transport the project to the kiln easily and without worry of pieces shifting. 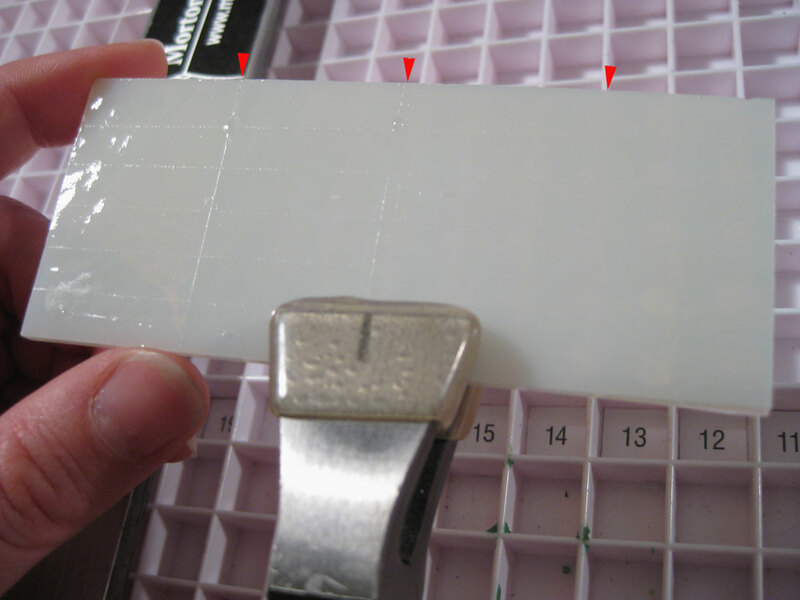 1) Using a strip cutting system, like the Morton Portable Glass Shop, cut the pattern pieces for the Long Lengths (7-3/4” x 1-1/2“), Short Lengths (3-1/2” x 1-1/2“) & Bridges (2” x 1-1/2“). 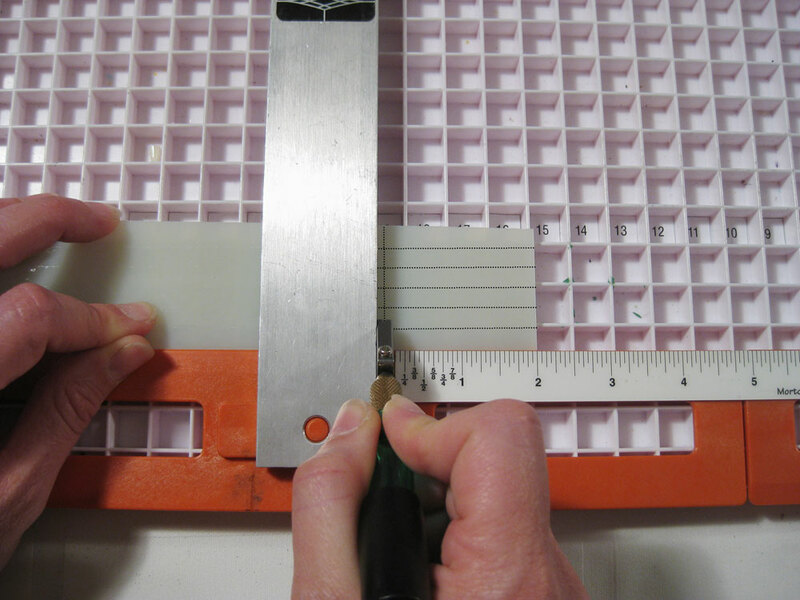 Score strips of 1/4”, then turn the rectangles 90º and score the various lengths for A, B, C, & D.
Before cutting out the rectangles, score your lengths of glass at 1/4″ intervals. 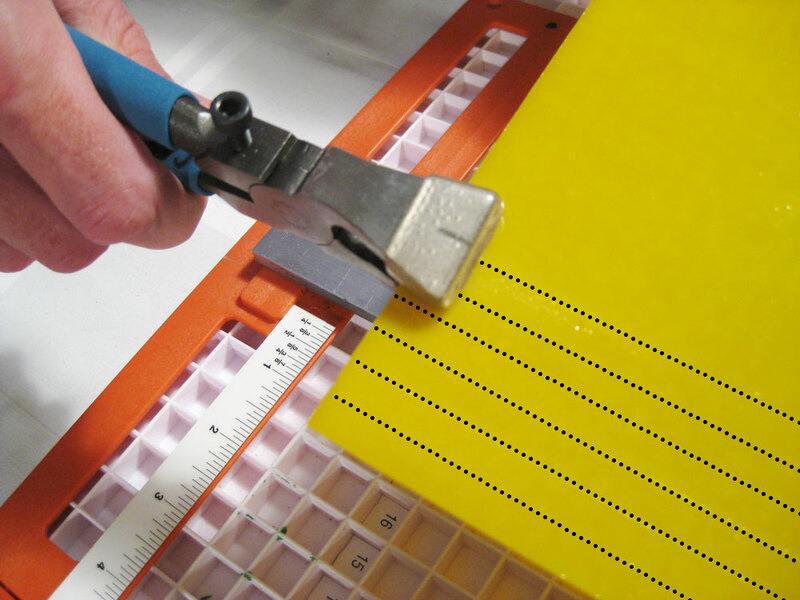 Break the scored glass strips away from the sheet glass, in one piece. Start by breaking off the wider strips. Break the glass in half, then half again. 2) Using running pliers, break the scores. Break each piece in 1/2. Then, break the smaller sections in 1/2, etc. until all the pieces are separated. Next, break the 1/4″ scores. 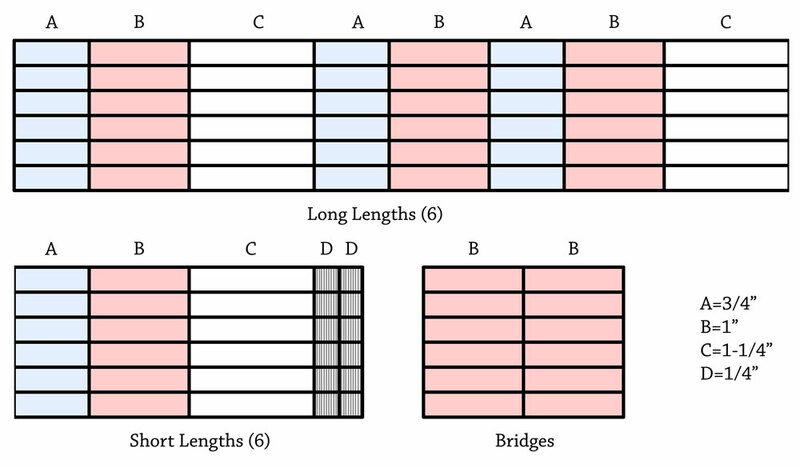 Start by breaking into groups of 2s or 4s, then break them in half. 3) Arrange the pieces on top of the Long & Short Length templates, laying the solid pieces down and then stacking the dotted pieces on top. 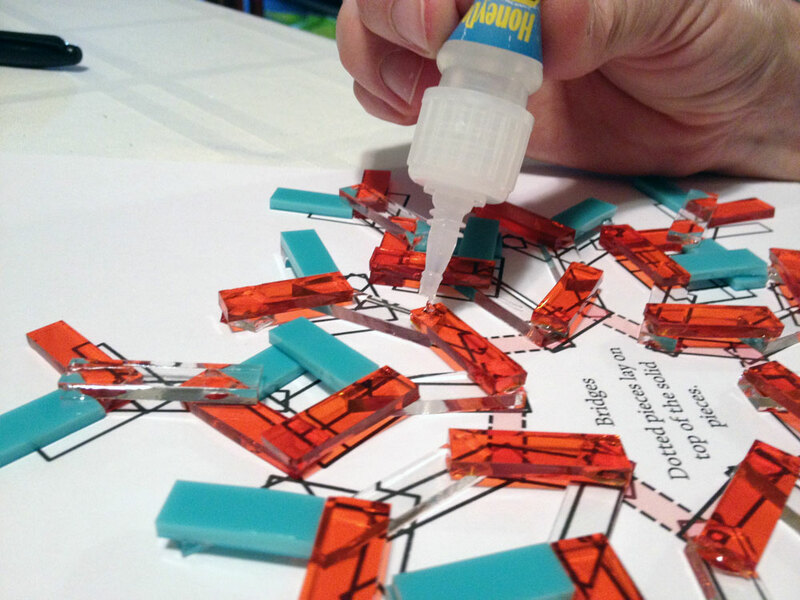 Place a dot of HoneyDoo Zuper Glue on each piece where it will overlap with another piece. Make six of each the Long & Short Lenths. Lay down the solid pieces first, and then lay down the dotted pieces. Lay down the pieces outlined in solid, then dot the ends of the top pieces (outlined with dashed lines) before laying it across the bottom pieces. Put together 6 of each the short and long lengths. 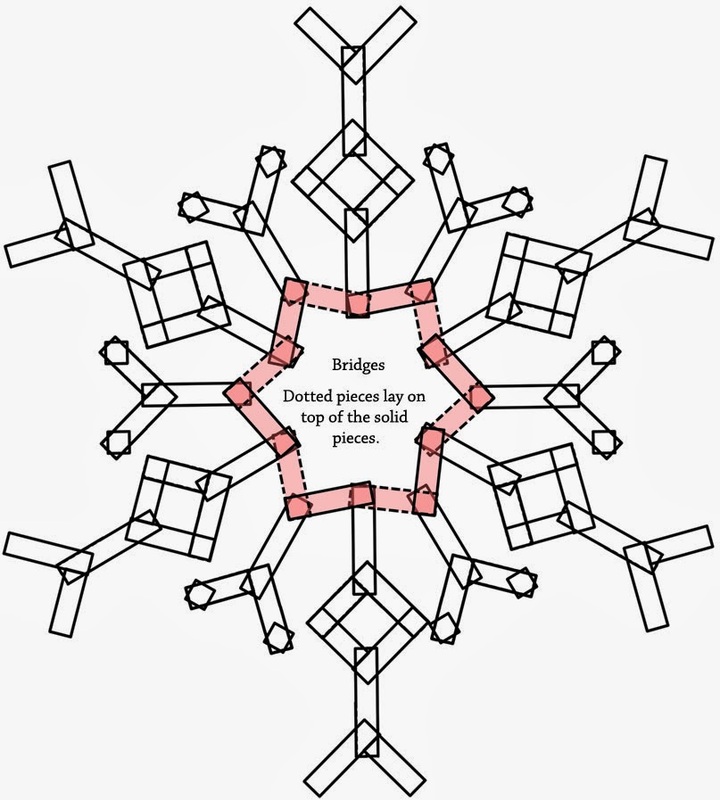 4) Arrange the Long & Short Lengths on the full snowflake template. 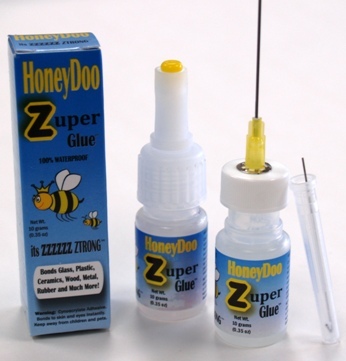 Place a dab of HoneyDoo Zuper Glue on the inside ends of the Long & Short Lengths. Now, you’re ready to start building bridges. 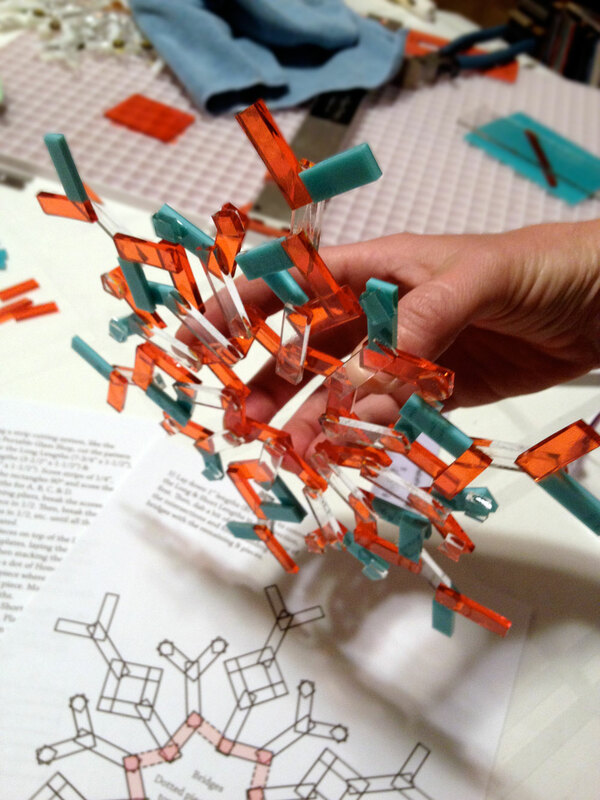 After laying the lengths on the snowflake template and connecting them with the first layer of bridges, dab each end of the bridges with Zuper Glue and complete the bridges with the remaining 1″ pieces. 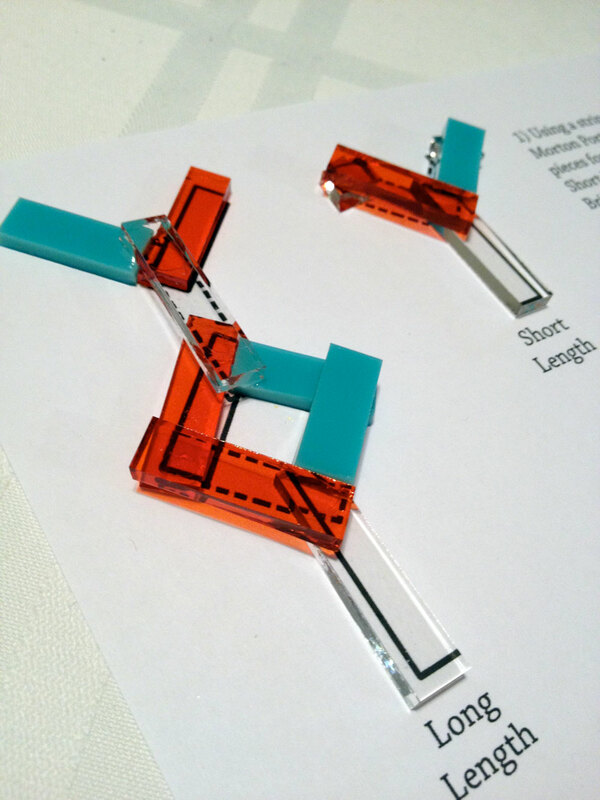 5) Lay down 1” lengths (B) of glass to connect the Long & Short Lengths in one direction, first. Then, dab a bit of Zuper Glue on top of the intersections and finish building the bridges with the remaining B pieces. Let the assembled snowflake sit for 5-10 minutes before moving it. You can easily pick up your un-fired snowflake to transport it to the kiln without worrying about the pieces moving. ▪ Begin by cleaning your glass thoroughly. Using a glass cutter without oil with save you a tremendous amount of time spent cleaning the glass after it’s broken into several pieces. ▪ To extend the shelf life of your Zuper Glue, store it in the refrigerator. ▪ Work in a well ventilated area to prevent buildup of fumes from the glue. 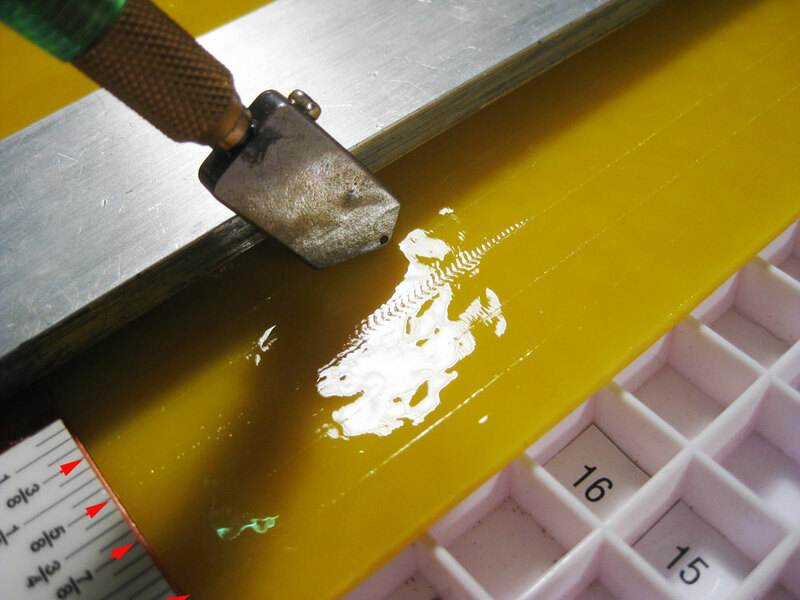 ▪ “Confused” glass = When scoring across previously scored glass, especially in skinny strips (like the 1/4″ strips we’re cutting), sometimes the score will break unevenly. Scoring on opposite sides of the glass helps to alleviate the problem. ▪ Fire on top of kiln paper to avoid having to smooth out spurs on the edges of the snowflake. ▪ To make the most of your kiln shelf space, arrange the snowflakes closely together, leaving at least 1/2″ between snowflakes. Switch it up by using multiple colors! 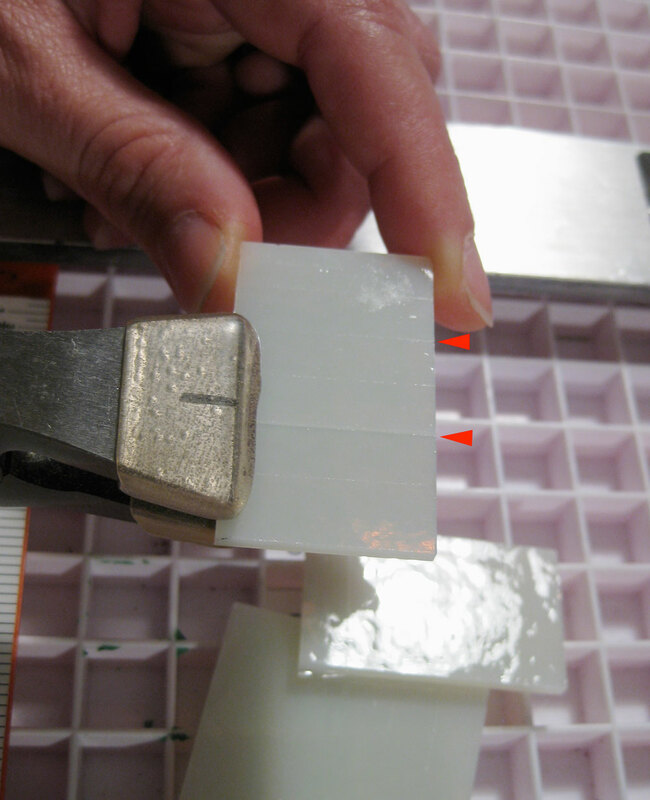 For more texture, reduce the target temperature in the first segment to 1370º. Make sure your kiln is in a well ventilated area to prevent buildup of fumes from glue and fiber paper binder burn off. 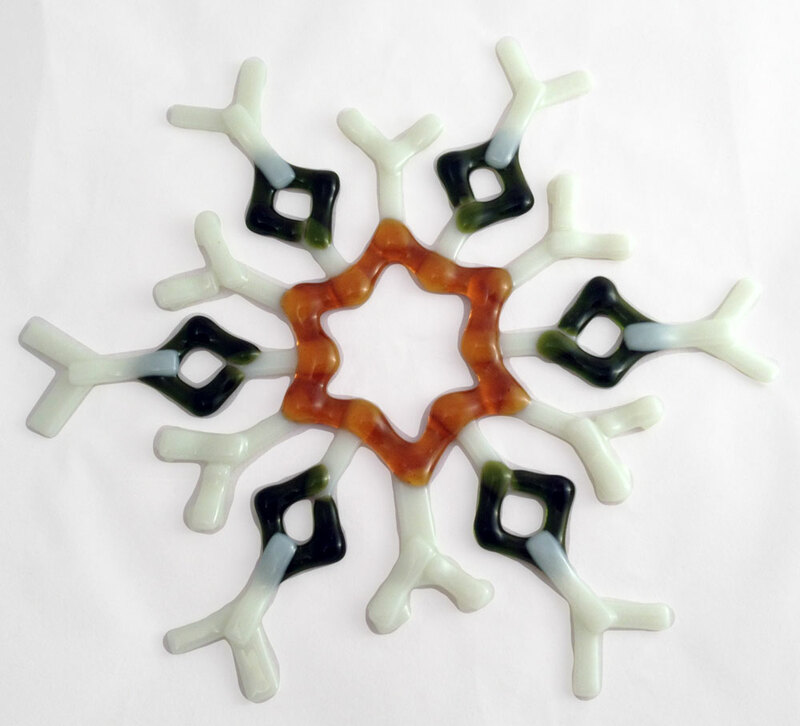 To purchase the Fused Glass Projects Magazine December 2012 issue in which the Zuper Glue Snowflake article ran, click here.